The township trustees may appoint an administrator to act as the administrative head of the township under the direction and supervision of the trustees. The administrator shall hold office at the pleasure of the board. The administrator has many duties and oversees all township departments. These duties include the development of policies and procedures directing township operations, preparing resolutions for board action, managing township projects, overseeing township communications, informing trustees of the financial condition of the township, responding to public records requests, preparing budgets and recommending measures as directed by the trustees. The Township Administrator directs the human resources of the township including benefits and insurance, compensation, personnel policies and workers compensation. The Township Administrator also serves as the township’s zoning officer. Ben Collins was appointed as the Plain Township Administrator in March 2010. He joined Plain Township with a diverse background in public service including zoning, administrative law and intergovernmental relations. Mr. Collins began his public service working for the Franklin County Engineer’s Office while attending the Ohio State University, where he graduated with a bachelor’s degree in political science with honors. Mr. Collins earned his master of public administration and juris doctor degrees from the University of Akron. 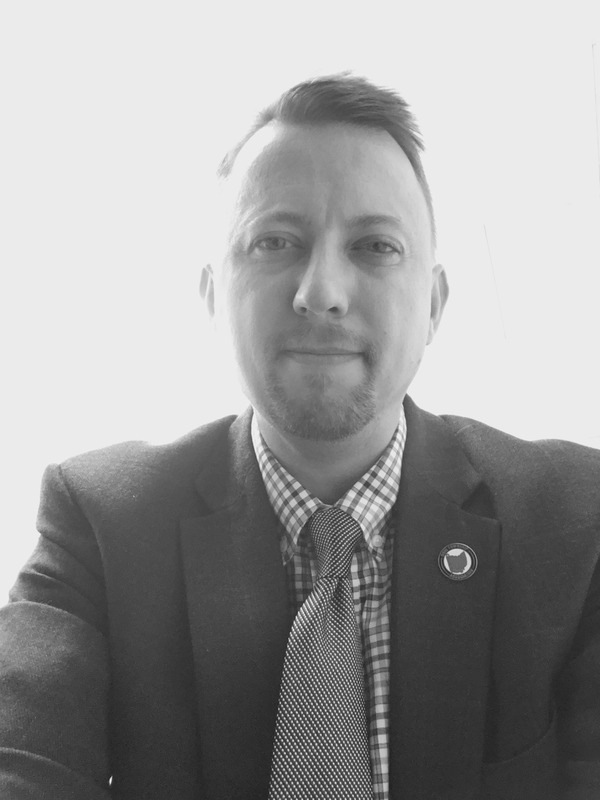 He has served as a research assistant with Summit County Council, an assistant prosecutor in the civil division of the Delaware County Prosecutor’s Office and as a Management Analyst with the Ohio Department of Education. He has completed the Ohio Township Association Leadership Academy and Leadership Worthington, is a registered notary and a licensed attorney. Mr. Collins represents Plain Township on many local boards, commissions and committees including the Mid-Ohio Regional Planning Commission, the New Albany Chamber of Commerce, the Metropolitan Emergency Communications Consortium Council of Governments, and the Rocky Fork Blacklick Accord. Mr. Collins resides in Worthington with his wife and three children and an English Pointer named Jupiter. He enjoys spending time with his family hiking, fishing and playing at the beach. He is an avid supporter of Asia’s Hope International and has made two journeys to Cambodia.